While warmer weather may still be hanging on, colder temperatures are just around the corner. 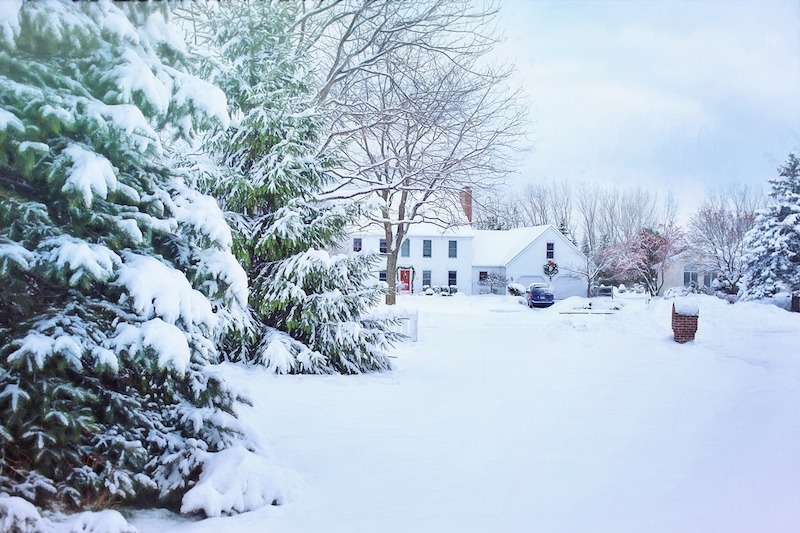 Now is the time to start preparing your home for winter. September brings the start of school and the harvest season but it’s also a time for those located in colder climates to prepare for the long road ahead. There are lots of things to tackle in and around your home to make sure you’re prepped to avoid a winter weather disaster. Here are some things to check off your list while summer turns into fall. Drain irrigation. If you have outside faucets, make sure to drain everything completely and shut it off before freezing temperatures roll in. This includes hoses and irrigation systems. If you don’t drain outside pipes, you risk any water left in them causing them to become damaged, which means a hassle when you go to use them again in the spring or even worse! Rake leaves. Get all those leaves together and save your grass. It might be tempting to leave them but come spring you’ll hate yourself for it. Gather leaves and mulch and dispose of them at a township facility. Trim plants around the yard. Prune back trees, shrubs, and plants as needed. It’ll save you work and possible problems after winter is through. Inspect roof and clean gutters. It is crucial to inspect your roof and clean gutters. With winter comes snow and snow brings the possibility of ice dams which can be disastrous for your roof. Ice dams form when gutters are clogged, with either debris or frozen runoff, and can wreak havoc on your roof resulting in leaks and more. Preparing your roof for the coming winter storms is key. Service heating system. A heating system that’s on the fritz can not only leave you in the cold, it could become dangerous. Make sure to have your heating system inspected and serviced, if needed, before you switch it on for the season. Change ceiling fan direction. Another way to be more energy efficient and prepare for winter is to switch the direction your ceiling fans blow. There are different directions for different seasons! Replace weather stripping. Damaged weather stripping costs money in lost heat and making your furnace work harder. Inspect and repair stripping around windows and doors before the cooler winds blow. Inspect and clean fireplace. Though warm and inviting, fireplaces can be a hazard if they aren’t functioning properly. Make sure to have your fireplace cleaned and inspected before the first use of the season. Being prepared for winter can help you avoid home disasters like water damage or a fire, but if you do find yourself in an unfortunate spot, let RestoreCore help. We’re fully trained and read to deal with whatever disaster comes up.